Navigating the offshore market these days is an uneasy voyage of great expectations balanced by economic reality. As a strong pipeline of deepwater projects and buoyant shallow-water activity drive an overall optimistic outlook, the course forward could be choppy. Oil prices remain stable at $100 or more yet can’t keep up with rising CAPEX. An ongoing, robust newbuild boom is tempered by concerns of oversupply and, in some cases, speculation. New deepwater basins are being discovered, but backups in the supply chain are causing production delays. For the near term, it appears the more mature shallow-water sector will stay particularly strong, with the Gulf of Mexico (GOM) Shelf thriving as smaller operating companies invest to develop older oilfields that otherwise would languish. 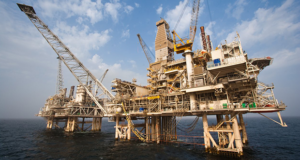 Major independent operating companies (IOCs), however, are deferring some high-profile projects, creating uncertainty for drilling contractors. 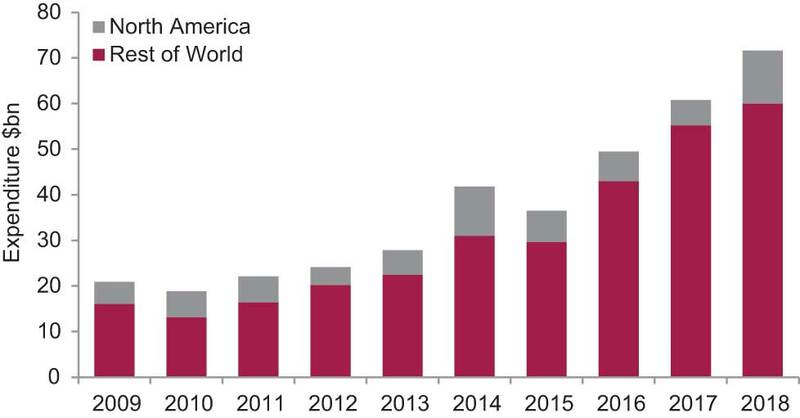 Beyond the next 12 months, the outlook seems to reverse, with the now-healthy jackup market impacted by saturation, while spending in the deepwater sector is expected to soar as operators push into fields that reach new levels of technical complexity. Opportunities in Mexico are also on the longer-term horizon, with reforms allowing private investment. Noble Drilling’s Bully I drillship sits in front of the Shell Mars A platform in the US Gulf of Mexico. The dynamically positioned drillship is designed for water depths up to 10,000 ft and drilling depths up to 40,000 ft. Instead of a standard derrick, it features a multipurpose tower that houses automated pipe-handling equipment. Shell views deepwater as a core growth engine for the company, with a focus on the GOM, Nigeria and Brazil. Southwest Africa, northwest Australia and Asia also continue to generate interest. “Of the remaining 2.7 trillion bbl of recoverable conventional oil resources in the world, the International Energy Agency estimates 45% are in offshore fields, and 25% of them are in water more than 400 m deep,” said Martin Vos, Vice President, Deepwater for Shell. 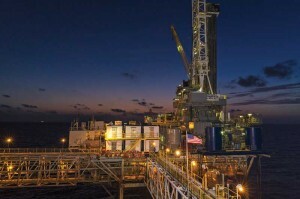 Shell’s Mars B project in the Mississippi Canyon block of the GOM, designed for a field life of at least 50 years, is the first development operating in the evolving post-Macondo regulatory environment. It also represents a new era where well engineering plays a bigger front-end role in driving innovation in technically complex wells and new project types, Mr Vos said. Post-Macondo, operators also have a heightened focus on HSE and regulatory compliance. In 2013, Shell launched a “Think Process Safety” initiative outlining 10 elements of process safety deemed critical to keep hydrocarbons in the well, the pipe or reservoir under all circumstances. “The campaign was designed to help raise risk awareness, alertness and discipline among our staff and our contractors’ crews. Our standards, procedures and systems are only as good as the people applying them,” Mr Vos said. The effort centers on advanced well control training and use of the electronic Well Control Assurance tool. 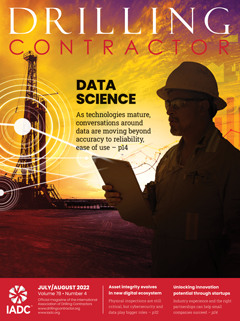 It also will encompass Shell’s long-standing safety case methodology that sets global standards for deepwater drilling. 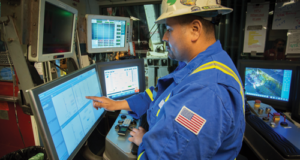 Shell’s contracted deepwater rig fleet includes 19 deepwater mobile offshore drilling units and six tension-leg platform rigs operating in nine countries. Other projects under construction include the prolific Cardamom and Stones fields in the GOM, Bonga North West in Nigeria, BC-10 Phase 3 in Brazil and the Gumusut-Kakap and Malikai fields in Malaysia. Six additional projects in the US GOM and Nigeria are being considered for investment, Mr Vos said. 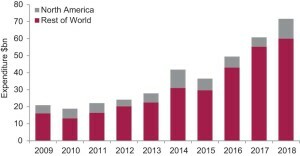 In its World Deepwater Market Forecast 2014-2018, global market research and consulting firm Douglas-Westwood is putting deepwater spending during that period at $260 billion, a 130% increase over the preceding five-year period. 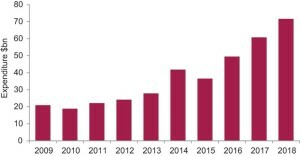 Expenditures are expected to surge from 2016 onward, although the short-term picture is not as buoyant, with IOCs deferring some big projects and with constraints in the subsea hardware market. 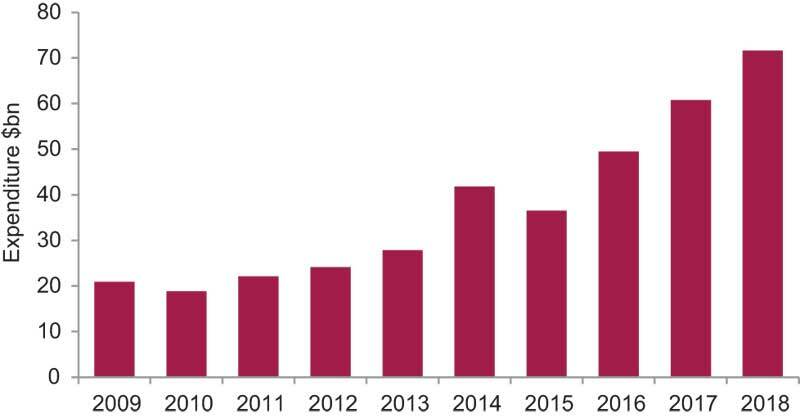 “Despite sustained high oil prices, around $100, for the past few years, CAPEX costs in the industry have been increasing by 11% per barrel annually since 2000,” said Rachel Stonehouse, Douglas-Westwood Analyst and Assistant Editor of the report. “The effect is seen more in deepwater, where developments are more costly. As a result, we are expecting capital-intensive deepwater and ultra-deepwater projects to experience delays in the near term, specifically in the US GOM.” Last year, BP canceled a multimillion-dollar extension of its GOM Mad Dog oil project, citing oil price uncertainty and rising costs. The GOM is expected to see continued growth, but not at the rate of other deepwater regions, notably Brazil and West Africa. The report forecasts a 2% capital expenditure increase for North America, including the GOM, through 2018, while CAPEX spending for the same period is forecasted to increase by 11% in Brazil and 23% in West Africa. Rig costs also could be contributing to deepwater development delays, Ms Stonehouse said, noting that dayrates for semi-submersibles are highest in the US GOM, averaging $471,000 in 2013. 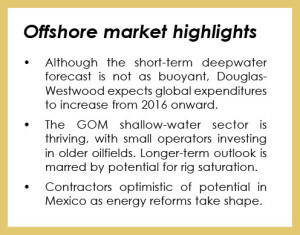 Toward the end of the decade, deepwater production is expected to increase in the Mexican GOM in light of reforms that are now under way. Initial bidding rounds for that market are expected in 2015, she said. 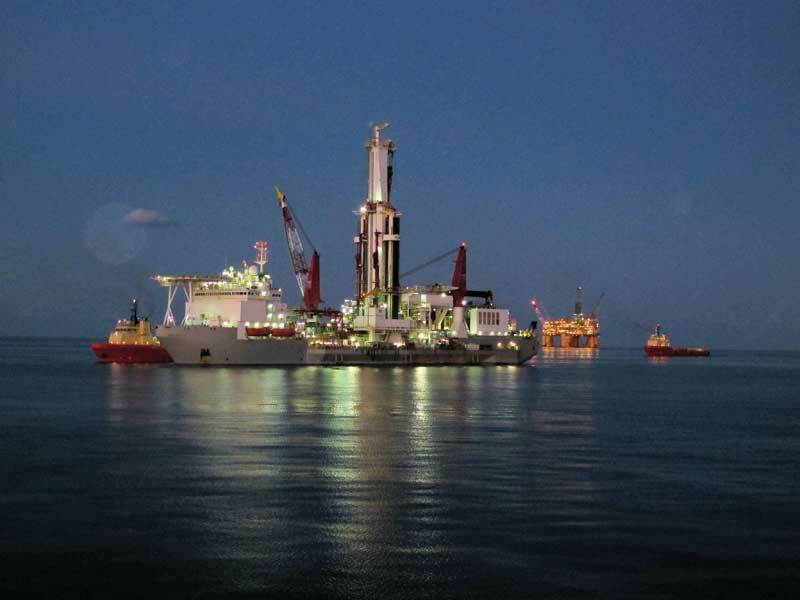 The Ocean Onyx, Diamond Offshore Drilling’s new semisubmersible, began work in the US GOM for Apache in February. The rig is capable of operating in water depths up to 6,000 ft and drilling to 30,000 ft. Diamond has two additional semis under construction. 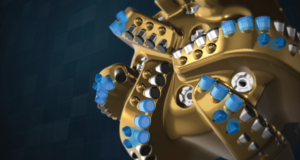 Diamond Offshore Drilling’s fleet of 45 rigs includes 33 semisubmersibles, two of which are under construction, and five drillships, with three under construction and scheduled for delivery this year and next. Utilization remains high, with all but three marketed rigs in its fleet contracted. Still, the company is concerned about utilization going forward as some customers have pushed projects into 2015. The new semisubmersible Ocean Onyx began work in the US GOM for Apache in February, and the first of Diamond’s new drillships, the Ocean BlackHawk, just began a five-year contract with Anadarko, also in the US GOM. 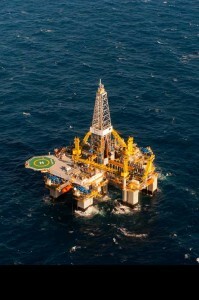 A second drillship, the Ocean BlackHornet, also will begin work for Anadarko in the Gulf in Q3. Each of the two drillships features a dual-derrick design and two BOP stacks, with 12,000-ft water and 40,000-ft drilling depth capabilities. Diamond currently has nine rigs working for its largest customer, Petrobras, in Brazil. 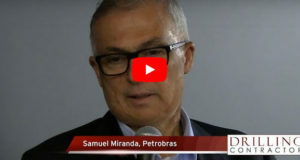 “Petrobras has had challenges meeting some of its production targets and is also contending with a tight labor market,” Mr Daugherty said. 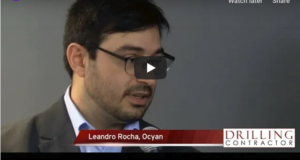 “Revenues have not been as high as planned, which has caused some pressure.” Diamond also had two semis working for Brazilian operator OGX when that company declared bankruptcy last year. The Ocean Star was subleased to Brazilian service company Queiroz Galvão, while the Ocean Quest was relocated to Southeast Asia, where it is awaiting a contract. 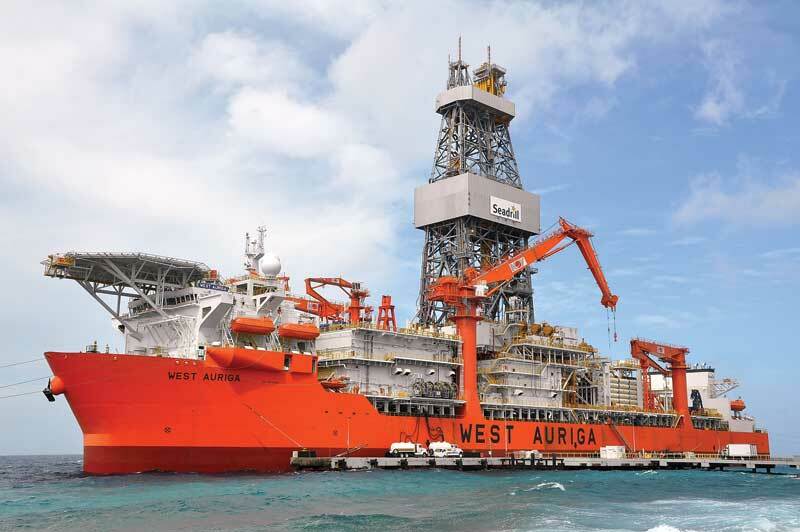 The West Auriga, a Seadrill ultra-deepwater drillship, began working last year for BP in the Gulf of Mexico. By year-end, Seadrill will have six deepwater and ultra-deepwater rigs operating in the US GOM, tripling the number from two years ago. 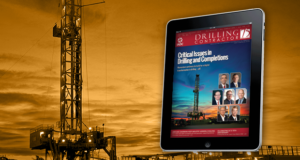 Post-Macondo, operators are requiring late-generation rigs to meet the technical challenges and HSE demands of deepwater and ultra-deepwater drilling, Mr Bollinger noted. With 21 new rigs in varying stages of construction, Seadrill is expanding its fleet to 69 units. Founded in 2005, the company has primarily grown organically, rather than by acquisition of contractors with older assets, resulting in one of the youngest fleets in the industry, he said. The company’s newbuild pipeline includes eight ultra-deepwater drillships, four semisubmersibles and nine jackups. Seadrill is looking forward to the arrival of the semi Sevan Louisiana in the US GOM in Q2 this year, followed by the ultra-deepwater drillship West Neptune. “Those deliveries will bring Seadrill’s total rig count in the US Gulf to six, triple the number from two years ago, positioning us to focus on deepwater GOM as a key growth opportunity,” he said. Other target growth regions are deepwater Africa and Brazil. Although some of the newbuilds under construction have yet to receive contracts, rig utilization of current rigs is near 100%, “about as high as we can get it. 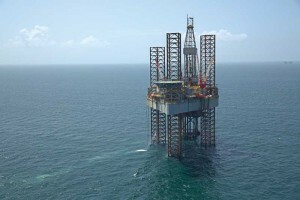 We have no rigs sitting idle,” Mr Bollinger said. “The sixth-generation, dynamically positioned drillships under construction all have 12,000-ft water-depth capacity and are being built to meet our customers’ new technology requirements. 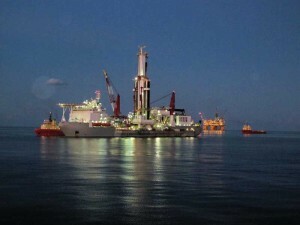 Our most recent drillship orders include design considerations for operating in 20,000-psi environments and capacity for managed pressure drilling, which is headed towards becoming the norm, rather than the exception, in the GOM.” At this stage, this includes ensuring there are dedicated space and connections to facilitate the use of MPD kit. 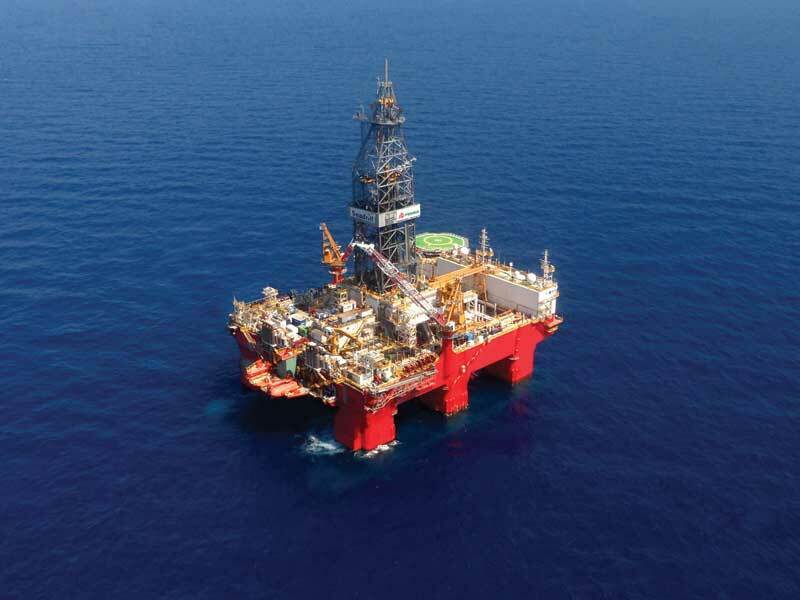 The Seadrill ultra-deepwater semisubmersible West Pegasus, capable of operating in water depths up to 10,000 ft and drilling to 35,000 ft, is working for Pemex in the Gulf of Mexico. 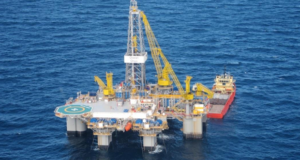 The contractor also has three jackups in Mexican waters working for Pemex, with plans to add two more this year. Jackups are in high demand globally, and dayrates are increasing, he added. Seadrill has 23 jackups deployed globally. Three are heavy-duty units working on the Norwegian Continental Shelf, with the others operating throughout the Middle East, Asia and West Africa, all considered to be growing shallow drilling markets, he continued. Seadrill’s nine newbuild jackups feature expanded deck capacity and deck-loading allowances. 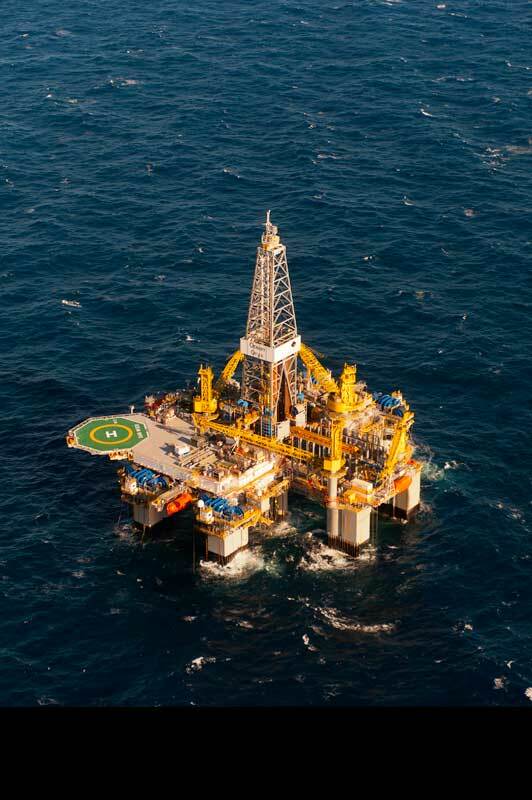 Looking ahead, Seadrill is working with Statoil to plan the move of the West Hercules semisubmersible from Norway to offshore Eastern Canada in Q3 this year and actively pursuing additional expansion opportunities in the area. 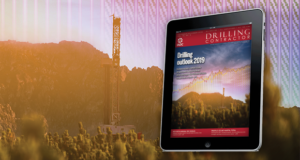 Seadrill is also eyeing the Arctic through its subsidiary North Atlantic Drilling Co, an exclusive harsh-environment driller that recently issued its first public offering. 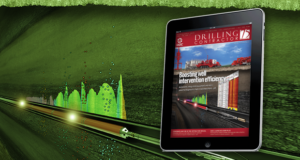 “These are exciting times for Seadrill. As we continue to grow our fleet, we remain focused on delivering outstanding performance for our customers,” Mr Bollinger said. Above and below: Maersk Drilling’s first ultra-deepwater drillship, the Maersk Viking, has been deployed to the GOM under a three-year contract with ExxonMobil. 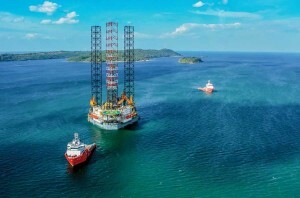 In a move marking an expansion into the ultra-deepwater market, Maersk Drilling has deployed the company’s first ultra-deepwater drillship, the Maersk Viking, to the GOM under a three-year contract with ExxonMobil. The ship is the first of four being delivered in 2014. A second drillship, the Maersk Valiant, will begin a three-year contract this summer for a ConocoPhillips/Marathon project, and the final two are expected to receive contracts by year-end, said Martin Fruergaard, Chief Commercial Officer for Maersk Drilling. The drillships, representing a total investment of $2.6 billion, have 12,000-ft water depth capability and feature dual derricks and large subsea work areas to facilitate efficient well construction and development. The drill floor is equipped with multimachine control for a high level of automation. “Maersk Drilling is a proponent of multimachinery control and automation to promote safety and a better workflow process,” he said. 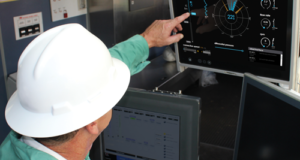 “We focus on designing a layout that accommodates multiple operations and equipment to optimize the drilling process.” An advanced positioning control system enables the drillships to maintain stability in severe weather conditions, such as those that can occur frequently in the GOM. 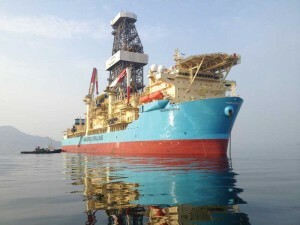 The drillships will join the Maersk Developer, a 10,000-ft capable semisubmersible working in the GOM for Statoil. “This gives us a good combination of rigs with a full range of capabilities,” he said. “We like to cluster rigs in regions because it enhances safety and efficiency in hiring and training local crews. Our operational model and training are how we differentiate ourselves in the market. 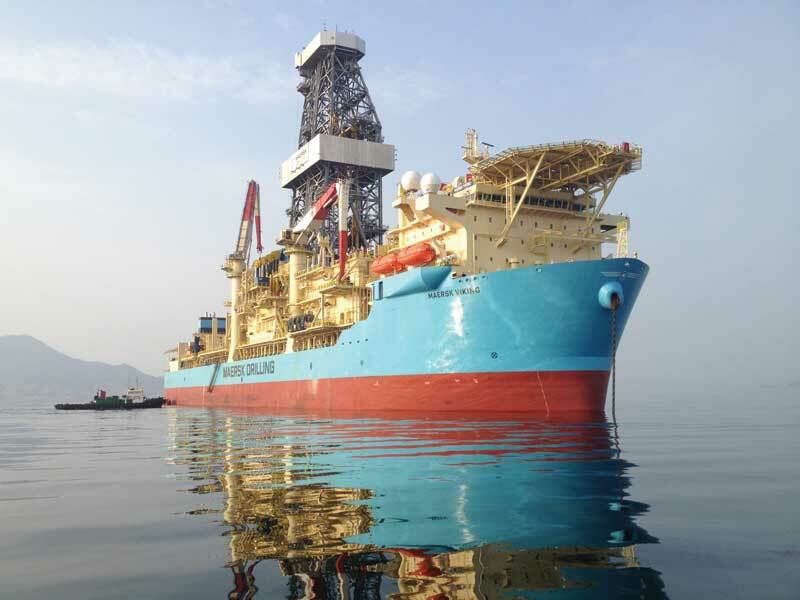 We spend as much time on crew development and training as we do on technology.” Maersk Drilling also has ultra-deepwater semis working in Angola for Chevron and in Egypt and Morocco for BP, plus a mid-water floater working for BP in the Caspian Sea. Stable, long-term contracts have kept the Maersk Drilling fleet at full utilization despite the near-term softness in the deepwater market, Mr Fruergaard said, though he acknowledged that oil companies’ focus on expenses is contributing to a trend of shorter-term contracts. “Our pipeline of opportunities is quite solid, but we do see E&P companies being careful in making commitments. In that regard, we are trying to partner with our customers to make operations more reliable, efficient and safe, while improving margins. If we don’t do that, there will be less activity going forward.” The quieter market has contributed to a weakening trend for dayrates for semis and drillships compared with a year ago, he added. Maersk Drilling has four large CJ70 enhanced jackups under construction, all contracted to join six harsh-weather units operating in Norway. “These high-efficiency rigs are stronger and bigger to provide improved technical capabilities and faster drilling, which are important for the harsh North Sea environment,” Mr Fruergaard said. The first of the four, scheduled for delivery in Q3 2014, will go to work for TOTAL. 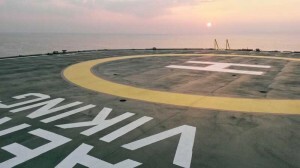 The second, to be delivered in Q4, will work for Det Norske. The others will be completed in 2015 and 2016 and are contracted with Statoil and BP, respectively. The Hercules Triumph, a new high-spec jackup, is operating in India. The rig is rated for 400 ft of water, with a maximum drilling depth capability of 35,000 ft. It is one of two new Super A class jackups delivered to Hercules Offshore late last year. 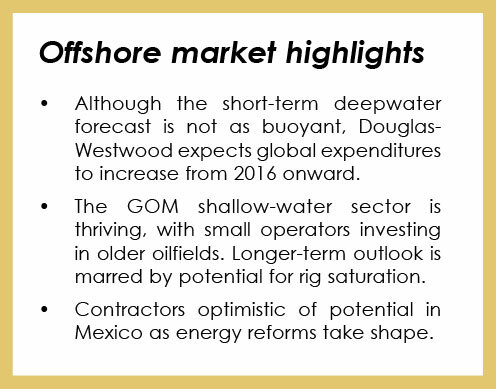 Shallow-water production is expected to account for 84% of total offshore production this year, according to Douglas-Westwood’s Ms Stonehouse. “The shallow-water market is very solid, and we have confidence that over the next 12 months, business will remain at the pace it is now,” said John Rynd, CEO and President of Hercules Offshore and 2014 IADC Vice Chairman. Hercules is operating at nearly full utilization of actively marketed jackups. 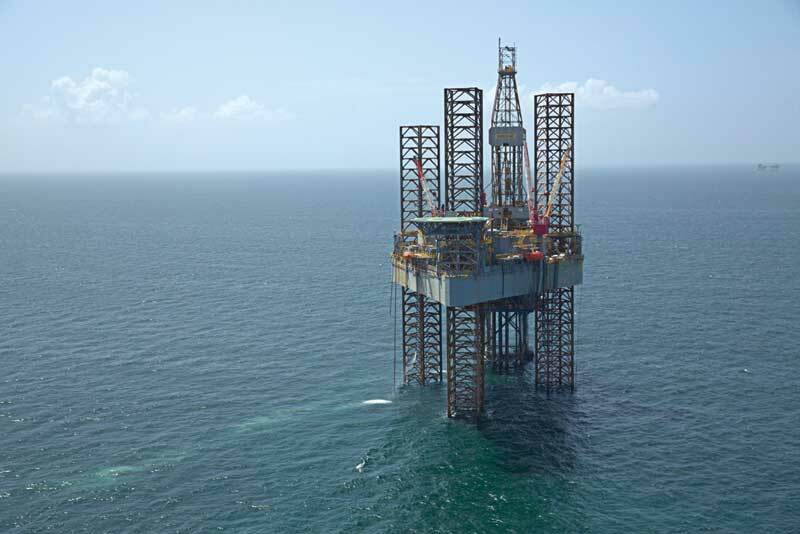 “Worldwide, there are almost 460 jackups working, which is an all-time high, but there is also incremental demand from the major consumers.” Dayrates are also strong; the leading-edge dayrate for an older Hercules Offshore 200 MAT cantilever jackup in the GOM is $110,000, he said. However, a trend is building of speculators overtaking conventional drillers in ordering equipment, and that is raising concerns about saturation. “Looking ahead to this time in 2015 and beyond, the outlook gets murky, with 60 jackup units scheduled for delivery in 2015 and about 140 in the queue for delivery through the first of half of 2017,” he said. “The replacement cycle was inevitable, but the concern is that we’re building too many, too fast. “Over the last three years, the compounded growth rate in jackup demand has been 10%. This year, the forecast looks like demand will be 3-5%. If we stay in that range, there may be many rigs looking for work. If demand ramps back up to the 8-10% range, the market will be able to absorb a fair amount of new capacity,” he continued, noting the jackup sector does not have the long-term visibility of the deepwater sector. Hercules has two new high-spec jackups, the Hercules Triumph and the Hercules Resilience, working in India and Vietnam, respectively. The rest of the company’s fleet are mostly older-generation rigs, which continue to be in demand, he noted. Last year, two Hercules rigs built in the early 1980s received five-year contract extensions through 2019, with a 50% rate increase, from Saudi Aramco. 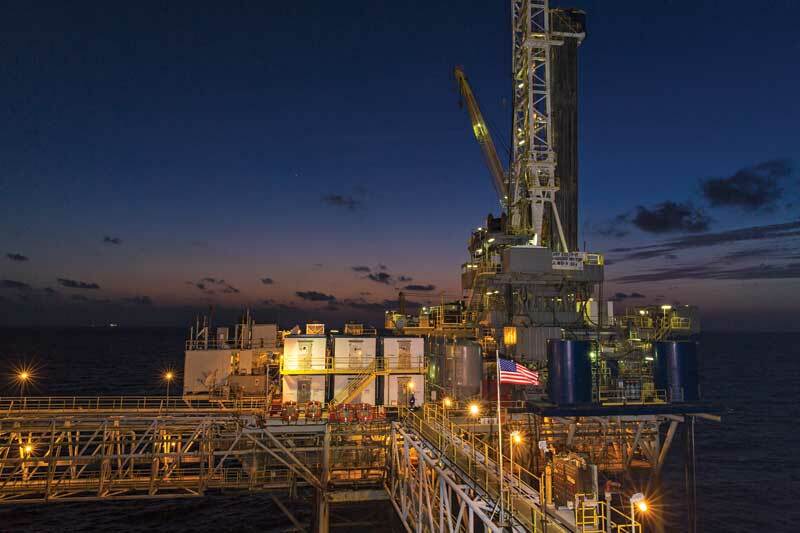 Hercules also has 18 rigs in the US GOM, three in the Middle East and two on the west coast of Africa, home to an active mature shallow market. 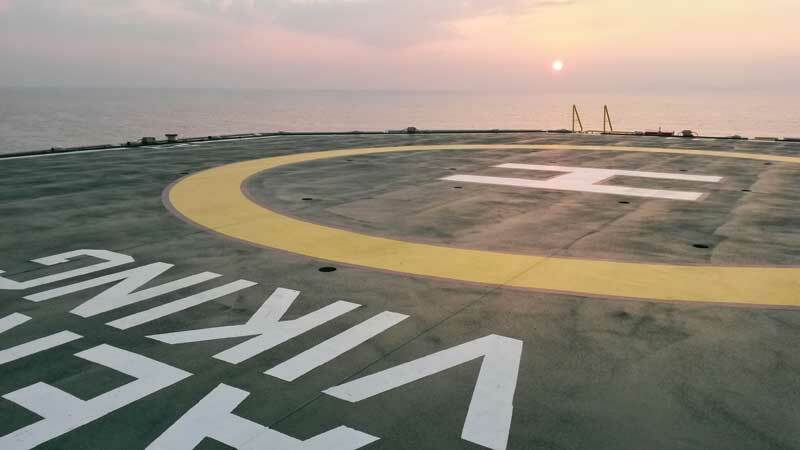 Last year, Italian operator ENI made a significant discovery in the shallow waters off the coast of Congo, with 1.2 billion bbl of estimated recoverable reserves, he said. Nabors platform rig P-17, contracted by Energy XXI, is drilling development wells in the mature West Delta play on the Gulf of Mexico shelf. Hercules Offshore plans to maintain a strong presence in the US GOM, reactivating rigs if the market gets stronger. 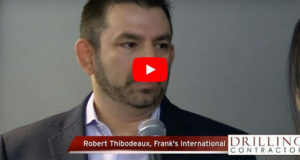 “The GOM Shelf is starting to reinvent itself to be more of an oil play than a gas play as a result of better seismic technology, which is giving operators a lot of optimism,” Mr Rynd said. 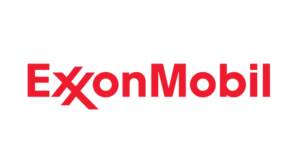 With the closing of the acquisition of EPL Oil & Gas announced in March, Energy XXI will be the largest publicly held independent operator on the US GOM shelf, producing an estimated 65,000 bbl of oil equivalent per day using advanced seismic technology and horizontal drilling to revitalize old oilfields. Pending closure of the deal, Energy XXI will own 10 of the largest fields on shelf, including the South Timbalier, West Delta, Main Pass and East Bay operations. The company maintains a portfolio of 70-75% oil. The ENSCO 82 jackup is drilling development wells for Energy XXI in the Gulf of Mexico’s shallow Main Pass field, where horizontal drilling and advanced seismic technology are revitalizing mature fields. Driving production is the application of wide azimuth seismic technology, which has been particularly successful in identifying the sands in salt dome formations, prevalent in the GOM, and in accessing reservoirs that may not have been modeled accurately using older 2D and 3D seismic technology. “Wide azimuth seismic has been used for years for deepwater production but historically was considered too expensive for the shelf. However, at current oil prices, we can easily justify the cost,” said John Schiller, Founder, Chairman and CEO of Energy XXI. Horizontal wells, which range from 5,000 ft to 12,000 ft deep, are typically drilled using jackups or from multislot platforms. If a well is not producing, a slot recovery operation is undertaken, whereby the main wellbore is plugged and a sidetrack drilled to access the reservoir from a different direction.